Today is the first day of summer and there’s no doubt that it is summer here in Iowa. Since we arrived Monday the temperatures have remained in the 90’s with the humidity almost as high. Having a gusty wind blowing from the south has made it seem even hotter. There’s a possibility of some thundershowers tonight in advance of a cooler weather front. Except for the fact that we are camping out, it would be a relief to see some rain. 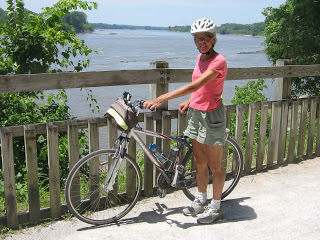 Our four days of bike riding last week on the Katy trail in Missouri were good preparation for the heat and headwinds here in Iowa. 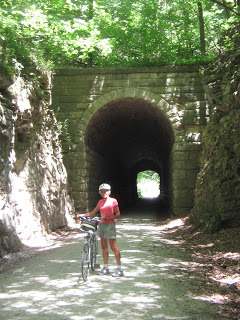 Being on a rails-to-trails bike path meant that we didn’t get to experience any hill climbs but, in a way, that can make the riding more difficult. It’s always a struggle when you have to stretch your legs and lungs to pedal up a steep hill, but then there’s the reward of zipping downhill. 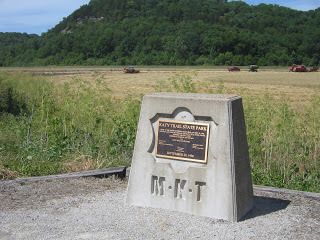 On the flat stretches of the Katy trail it can get quite tiring to just keep pushing and pushing at the same steady pace as you slowly pass the miles of the same cornfields, wheat fields and river bluffs that were visible the hours before and the days before. Monday evening we arrived in Iowa City, where we are camping at Kent Park. I was happy to see family and excited to get back on my road bike that had been here in Iowa City since the end of last summer’s RAGBRAI. Tuesday morning the local Bicyclists of Iowa City bike club had a 30-mile ride scheduled, a perfect opportunity to take the bike out for a spin. Close to 20 riders showed up and it was good riding, as well as good socializing. We fought some strong headwinds but the ride leader had done a good job of planning so that the way back on the loop we had the winds behind us. 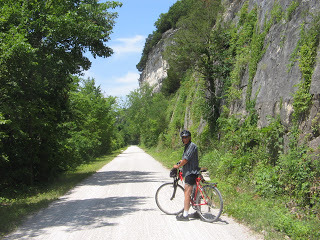 We got to practice pedaling up a few Iowa hills, as well. 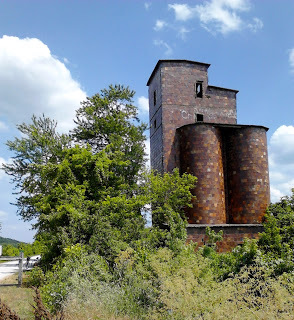 And then there was the beauty of the Iowa countryside and the opportunity to wave at some Amish children peering over the fence of their yard watching us ride by. We also encountered an Amish buggy on one of the roadways. 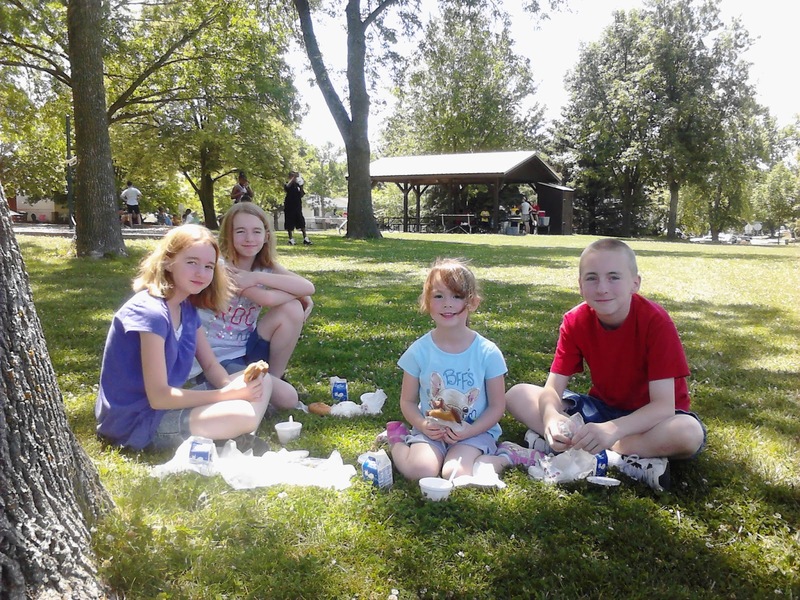 RAGBRAI is several weeks away and we will continue our training rides here and our visits with family. Traveling is fun but it’s also nice to know that we can stay in one place for a bit and not have to drive miles and miles in the car. 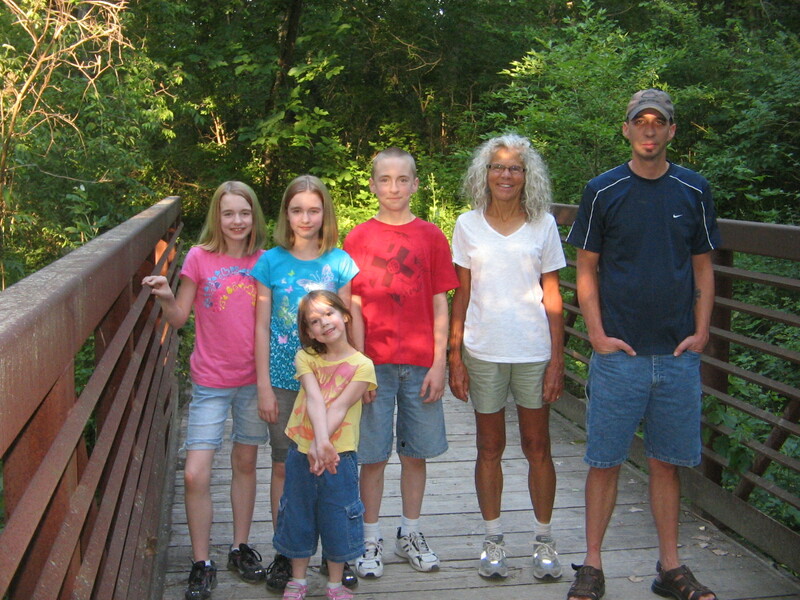 I am sure you are still enjoying the visit with the family, especially the grandkids. 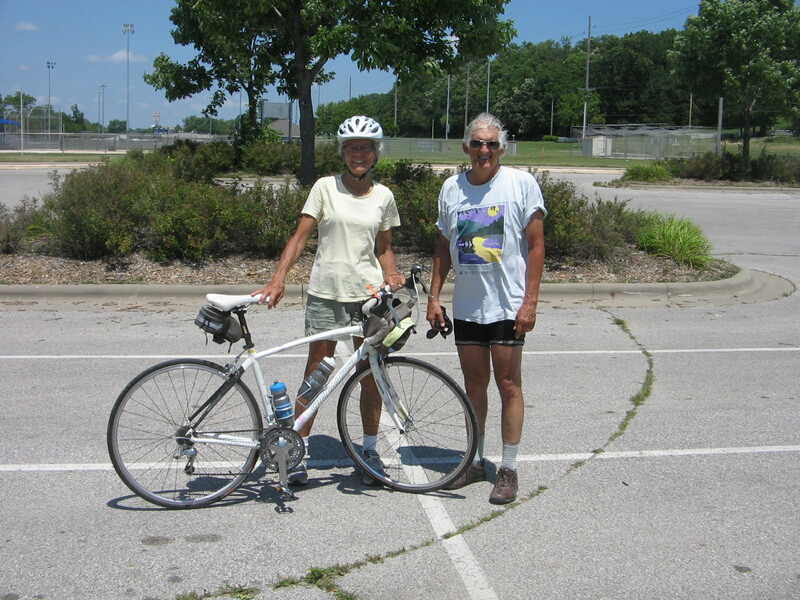 I know also that you are seriously training for the RAGBRAI event. Also, the relief from all the driving must be heavenly!! Enjoy.